The town of Blaenau Ffestiniog in North Wales was one of the two main centres of the slate industry in Wales. At the peak of the slate industry, the town had a population of over eleven thousand people, mainly employed in the slate industry. The town now has a population of under five thousand. 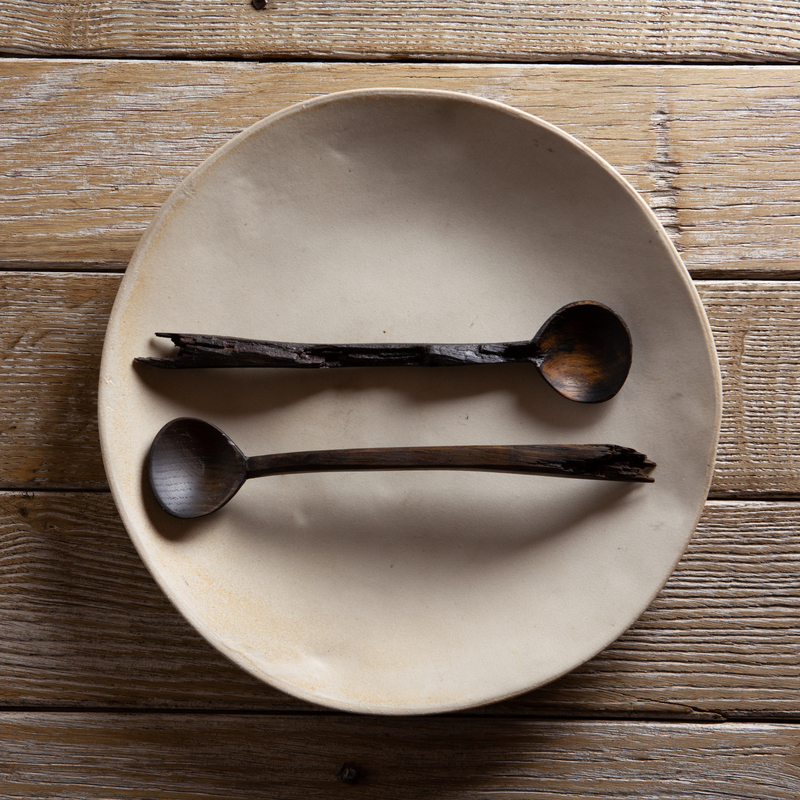 Although these two spoons are naturally darkened and finished in food safe oils, the delicate nature of the wood lends these spoons to decorative use only. Although these two spoons are naturally darkened and finished in food safe oils, and perfectly useable with food, the delicate nature of the wood used lends these spoons occasional / mainly decorative use.